A reader is trying to obtain a levy clearance certificate for a flat belonging to his late aunt but wants to know who to contact after the body corporate apparently ceased to operate. The complex is relatively small, with only eight units, and he says the body corporate “fell away” and that nobody paid any levies and no maintenance or upkeep was done. Although not specifically stated, due to the levy clearance certificate being required for an estate, the unit in question is intended to be sold. There are a number of aspects that require consideration. A levy clearance certificate is required to transfer property from the owner to a purchaser. The levy clearance certificate has a similar function to a rates clearance certificate. It confirms that the seller is up to date with all levy payments to the body corporate. The legislation specifically states that the registrar shall not register a transfer of a unit or an undivided share therein unless he is provided with a conveyancer’s certificate confirming two issues. The first is that if a body corporate has been established at the date of registration it needs to certify that any money due to it by the transferor has been paid, or that provision has been made for the money to be paid. Secondly, if a body corporate is not deemed to have been established, no money is payable. 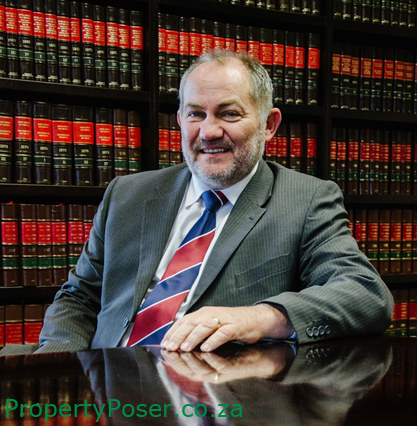 It is clear that the registrar at the Deeds Office shall not permit the transfer of a unit in a sectional title scheme without the required levy clearance certificate. This situation provides for two alternatives, the first being where a body corporate exists and the second being where no such body is in place. In dealing with the second option first, this scenario rises where a purchaser buys a unit from a developer and no levies are payable as none have yet been incurred. The first option is a little more complex in that it specifically provides for the body corporate to certify that the seller has paid all money due to it. It should be noted that the reference is not only for levies but for all debts which are owed. The reader says no body corporate exists but this simply cannot be the case. The law states that from the date on which any person other than the developer becomes an owner of a unit in a scheme, a body corporate shall be deemed to have been established, with the developer and the buyer as members. Every person who thereafter becomes an owner of a unit in that scheme shall be a member of that body corporate. Accordingly a body corporate simply cannot fall away. It is more likely that the owners in the complex have merely lost interest in the administration and due to there being no trustees elected and no annual general meetings, it is assumed that no body corporate exists. It is probably more accurate to state that it is a case of there being no trustees of the body corporate who have been elected and are willing to take the responsibility to act as such. The certificate in question is, in actual fact, not a certificate specifically issued by the body corporate, but a certificate issued by the conveyancer confirming the transfer of the unit to the purchaser. This certificate relies on a document from the body corporate confirming that all debts have been paid. It is not known whether the reader has instructed the conveyancing attorneys to try to obtain the required certificate. He should, at least, discuss the possibility of the conveyancer endeavouring to make inroads in this regard. As the complex is small, it should be considered whether a simple resolution by the owners would suffice as confirmation that they are satisfied that the seller has no financial obligations to the body corporate. Due to the property being sold out of an estate, it should be the executor who deals with the property in this regard. The reader does not indicate whether he is the executor but, if he is not, he should make it clear to the executor that it is his duty to see to the necessary to affect the transfer. Any cost incurred in the securing of the required certificate should, unless otherwise agreed, be for the account of the purchasing party.